The beaches provide beautiful scenery, endless relaxation and entertainment. Affordable Housing: Jacksonville is one of the top 10 cities in America where it is less expensive to buy than to rent. THE PLAYERS Championship at Sawgrass, one of the most renowned professional golf tournaments, is played close by each year in Ponte Vedra Beach, FL. Jacksonville is located on the St. Johns River offering many benefits to the city such as boating, transportation, and fishing. For NFL fans, Jacksonville is home to the Jacksonville Jaguars. College football is also celebrated in Jacksonville, as it hosts the great rivalry of the Florida Gators and Georgia Bulldogs each season. Jacksonville is home to the Sharks, a professional arena football team. Jacksonville offers a variety of educational choices, including: University of North Florida, Jacksonville University, Florida State College at Jacksonville, Florida Coastal School of Law, The Art Institute of Jacksonville, and more. For art lovers, Jacksonville is home to the Cummer Museum of Arts and Gardens, Museum of Contemporary Arts and hosts frequent art walks both at the beaches and downtown. There is an abundance of venues for a colorful nightlife. Jacksonville likes to keep its community close, by holding a variety of fairs and festivals. Jacksonville Zoo and Gardens is always a top choice for family fun. The Jacksonville Jumbo Shrimp ia a minor league baseball team located in Jacksonville. Tickets are affordable and games are fun for everyone. Although it is one of the largest cities, Jacksonville is very accessible and is designed for your convenience. Compared to similar cities, Jacksonville has a very stable economy. Florida’s oldest farmer’s market is located in Jacksonville’s riverside area and is open to you all 365 days of the year. Jacksonville is fortunate to have great weather year-round, allowing those who are golfers to take advantage of the many different private and public golf courses in our city, from The World Golf Village to Windsor Park public course. Jacksonville is fortunate to have a variety of state and national parks and preserves including: Huguenot Memorial Park, Kathryn Abbey Hanna Park, Fort Caroline National Memorial, Castaway Island Preserve, the Timucuan Preserve and many more. Jacksonville is located just 40 miles from our nation’s oldest city, St. Augustine. Veterans Memorial Arena , The Times Union Center & The Prime Osborn Center hosts countless concerts, entertainers, and events throughout the year. 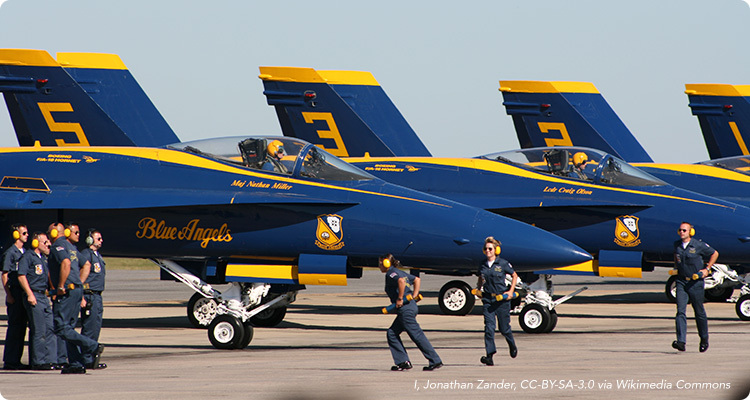 Jacksonville is home to NAS Jacksonville and NAS Mayport. NAS Mayport is the second largest naval base in the United States. The Jacksonville Sea & Air Show. Enjoy military and civilian aircraft displays, shop at novelty, food and beverage booths, or head to the free Kid’s Zone for games and activities for all ages. Take some extraordinary day trips to some of the surrounding cities such as: Orlando, Daytona, Amelia Island and Tallahhassee.